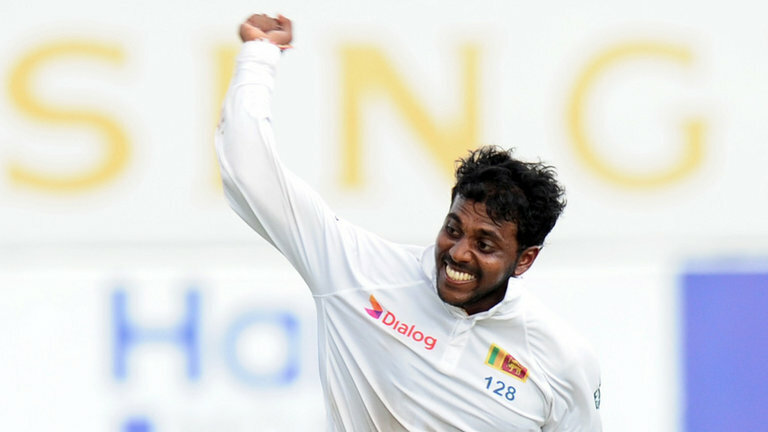 Another Sri Lankan off-spinner has been reported with a suspected bowling action, the previous case was related to Sachithra Senanayake, during the 2014 tour of England and this time 22 year old off-spinner Tharindu Kaushal, who was reported with suspected illegal bowling action during the third Test match against India at Colombo. Kaushal took 13 wickets in a three Test match series against India including eight wickets in the home team’s victory at Galle. He is being considering as a future off-spinner for the Sri Lanka spin department after senior Rangana Herath who will soon gone a retire from International Cricket. Kaushal will have to undergo a test on his bowling action which will be conducting at Sri Ramachandra University testing center, Chennai within 14 days but will be allowed to bowl in International matches until the results are ready. Kaushal joins the long list of recent defaulters like Saeed Ajmal, Sunil Narine, and Mohammad Hafeez in ICC’s massive crackdown on illegal bowling actions.